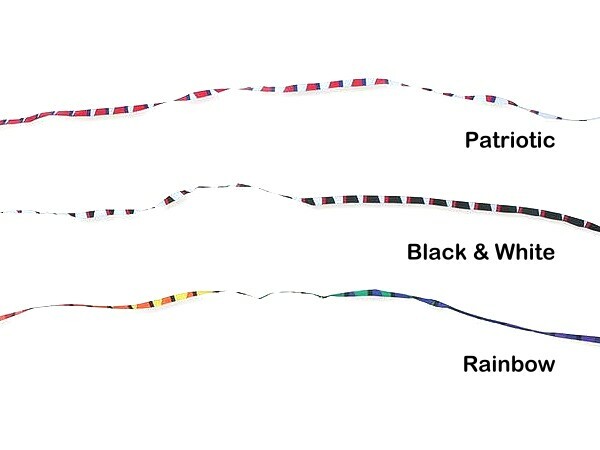 Transition Tails add a dynamic colorful accent to many kites. Called transition tails because color emphasis changes along their entire length. Each tail has a loop at either end and swivel clip connector. 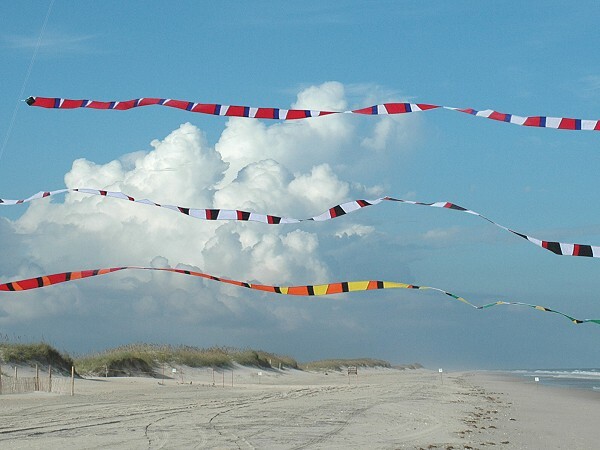 They look great attached to kites, flying line or telescopic pole. Connect end to end or in multiples across the kite. Size: 25ft x 3in, 50ft x 3in & 100ft x 5in.